Backbone was just alerted to the disturbing fact that the Washington state Attorney General Bob Ferguson's office is arguing in front of the US Supreme Court tomorrow (Wednesday, April 18). READ the article that alerted us to this incredible misstep by Attorney General Bob Ferguson and his Solicitor General Noah Purcell HERE. In short, the AG's office inherited a 20 year old lawsuit by NW Tribes calling on the state to replace culverts that impede the return of salmon. Lower courts have found in favor of the tribes and called on the state to remove culverts that impede salmon migration and gave the state 17 years to replace the culverts. 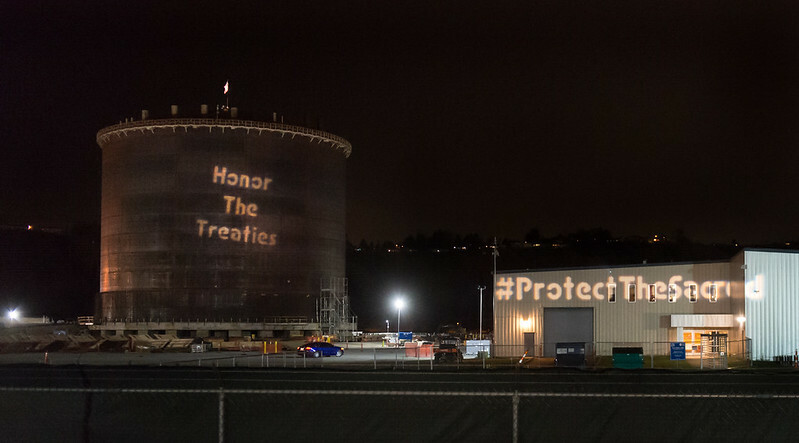 Instead of accepting that ruling, Washington state is now attempting to avoid some of what they deem unnecessary expenses by taking a litigious stance, insisting that tribes are overstepping their treaty rights. Anyone who has been involved in fights to protect our region from becoming a fossil fuel corridor to Asia knows that Coast Salish tribes have been leading the way. They've effectively used their moral and legal power to deliver victories - while state regulators are often impotent, absent, or only willing to take a stand after the tribes and people have fought the battles. This is no time to be undermining a last line of defense for protecting future generations. This is the time to stand WITH Tribes and celebrate their leadership and unique set of powerful tools - not foolishly collude to undermine them. Attorney General Bob Ferguson and Solicitor General Noah Purcell need to stand down. It is easy to imagine the current Supreme Court using this case to undermine tribal sovereignty and power. The misguided position Washington state is taking could weaken the power of tribes to use treaty rights to protect salmon and other treaty protected resources we all care about. It is a waste of state and tribal resources to continue to litigate a case that the state should simply abide by. This is an outrage and a grand strategic blunder of the highest order. Call the Washington state Attorney General's office at 360-753-6200.
b. Abide by lower court rulings to replace the culverts. Attorney General Bob Ferguson and Solicitor General Noah Purcell, PLEASE stand down. DO NOT risk weakening the power of tribes to use treaty rights to protect salmon and other treaty protected resources we ALL care about. Accept the lower court ruling to remove culverts on salmon streams. STOP wasting public and tribal resources. Sign the petition: EMERGENCY PETITION: AG Bob Fergusson, Please Stand Down. 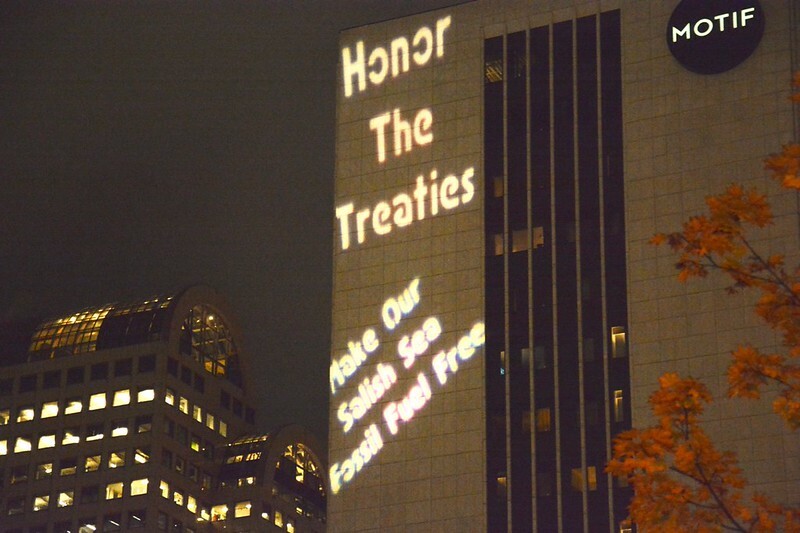 Do Not Weaken Treaty Rights! Friends, we just surpassed 250 signatures in less than 24 hours. That is an impressive show of concern. I will send my third email to the AG’s office reporting on progress and ask for a response to our concerns. From what I can tell about the Supreme Court schedule, the WA State AG team is scheduled to present their case at 1pm Eastern (now). Amica briefs etc. have been submitted by many parties supporting both sides ranging from individual tribes, to the Congress of American Indians, to former Governor Dan Evans, to building industry, State of Idaho, and many others. It is hard to determine what the AG’s office will do with our expression of opposition to their continued effort to appeal the lower court decisions, but it feels important that we express our deep concerns and they hear them. More later. Thank you all for signing and circulating this petition. The response has been overwhelming.